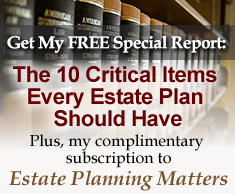 The Dynamic Duo of Estate Planning Documents | The Levin Law Firm - Philip Levin, Esq. At some time during your life, due to an illness, injury, or incapacity, it is very likely that you may need to rely upon another individual to make financial and medical decisions on your behalf. The legal documents, in which you delegate authority to make financial and health-care decisions, are called Financial and Health-Care Powers of Attorney. A Financial Power of Attorney allows you to appoint an Agent to carry on your financial affairs, in the event of an illness, injury, or incapacity which might prevent you from properly managing your financial matters. Unless you have a properly drafted and valid Financial Power of Attorney, it may be necessary to have a Guardian appointed by a local court to make financial decisions for you in the event of a physical or mental disability. If a Guardianship proceeding is necessary, testimony from one or more doctors is required and this legal process often becomes time-consuming, expensive, and emotionally draining for both you and your family. There are generally two types of Financial Powers of Attorney: (1) A “present” Financial Power of Attorney, in which the power to transact business matters is immediately transferred to the Agent; and (2) A “springing” (or future) Financial Power of Attorney, that only becomes effective upon a future disability, as determined by your physician. 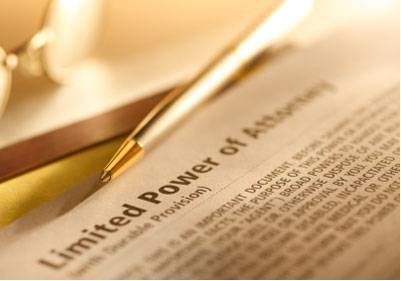 Who Can Create A Financial Power of Attorney? Generally, any individual over 18 years of age, who is a resident of the state in which the document is created, and who is legally competent, can execute a Financial Power of Attorney, appointing an Agent to manage their property in the event of an illness, injury, or incapacity. Who May Act as An Agent Under A Financial Power of Attorney? An Agent may be any person who is legally competent and over the age of 18. Often, it is a family member such as a spouse, sibling, adult child, trusted family member, or a friend. While more than one person can be named as an Agent, naming two or more individuals to act together can become inconvenient, especially if the asset size and structure of the client’s holdings require decisions to be made promptly under the terms of the Financial Power of Attorney. Therefore, it is usually more prudent to name one individual as primary Agent and a back-up individual as Successor Agent. 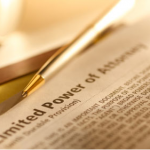 What is a Health-Care Power of Attorney? The law allows you to appoint a trusted individual – for example, a family member or close friend, to make important decisions, regarding medical treatment options, in the event that you, (temporarily or permanently), lose the ability to make such decisions. You can and should designate a person to make vitally important health-care decisions under the terms of a “Health-Care Power of Attorney”. Your Agent can then make sure that doctors, hospitals, and health care professionals follow your wishes in the event of a serious illness, injury, or incapacity. We live in a very litigious society and privacy is of paramount importance to many people, especially concerning the dissemination of confidential medical records. As a direct consequence, medical providers have refused to release information, even to spouses and adult children authorized by a Health-Care Power of Attorney, on the grounds that the 1996 Health Insurance Portability and Accountability Act, (HIPAA), prohibits such release. Therefore, you should have their estate planning attorney prepare the proper HIPAA Authorization Form, authorizing the release of medical information to your Agent who is designated under their Health-Care Power of Attorney. At The Levin Law Firm, we develop customized estate plans for our clients, which include these vitally important “living documents”, to protect our clients in the event of a temporary or permanent illness, injury, or incapacity. Help your clients to protect themselves, and their families, by calling The Levin Law Firm to arrange a Complimentary Consultation at (610) 977-2443.